CipherLab Connection | July 2018 - CipherLab Co., Ltd. The user is one of the 30 largest iron and steel producers in the world. The company provides a wide assortment of metal products and supplies in the major markets of Europe, US as well as Asian countries. 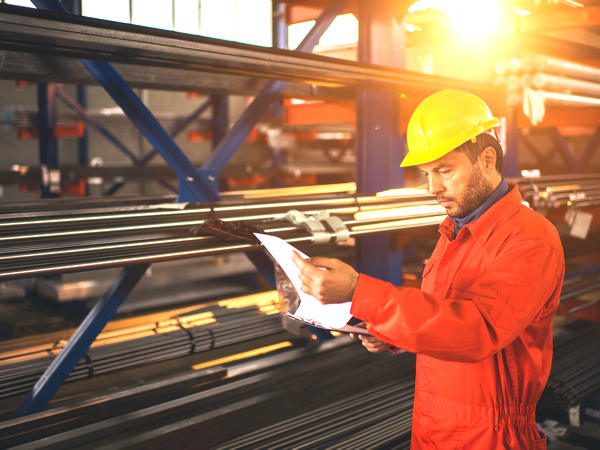 Since the company has multiple plants, therefore, knowing where raw materials, WIP (Work in Progress) and finished goods are located – in inventory or on the production line – is important to the whole supply chain. The IT department deployed Windows Embedded Handheld terminals in the past. Given that a rugged solution in the harsh environment and easy to understand technology like Android OS is needed, the IT managers turned to CipherLab’s RS50 mobile computers. The company selected CipherLab’s RS50 and integrated it with the IT partner’s inventory management software to track the whole supply chain status. CipherLab’s RS50 is equipped with 4.7" HD display with sunlight visibility, allowing workers to gather info even in outdoor environment. The 2D imager reader of RS50 can capture data in milliseconds even if the barcode is poorly printed or under numerous layers of shrink-wrap. No matter if it’s production staff, quality assurance inspectors, purchasing managers or supervisors can make use of RS50 rapidly capturing batch number, quantity or other important information. RS50 can transmit data through wireless connectivity to the back-end center in real time and make a seamless process from receiving stock to shipping finished products. Built with IP65/IP67 protection, RS50 can prevent iron ore intrusion and works well in the harsh manufacturing environments. The 5300 mAh battery operates at a minimum of 16 working hours, ensuring workers with plenty of power for long shifts. The workers can make tracking duties efficient and make decisions easily with the data insights provided by RS50. 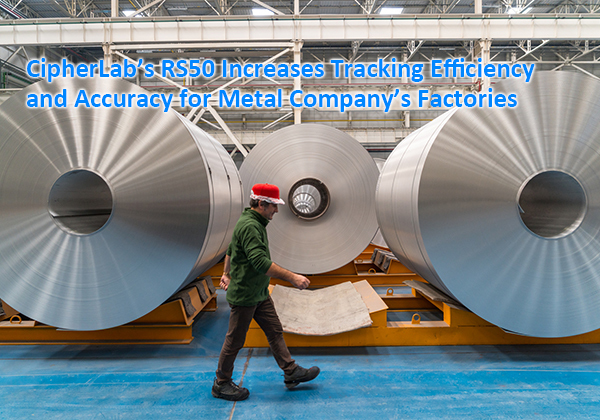 RS50 helps to save time and ensures accuracy at every stage. A regional supermarket with 30 stores in South America selling over 5,000 items adopted CipherLab’s 9700 series to improve its stock management as well as its workers’ productivity. Before adopting the 9700 series, workers of the supermarket in warehouse need to manage receiving goods and stock them in an old fashion way – manually count the delivered items. The process is time consuming and the quality of work is poor. Therefore, the supermarket would like to seek a solution and change this current situation. The CipherLab 9700 features excellent scan functionality with keypad support which provides the convenience of typing needs. The CCXv4 certified IEEE 802.11 a/b/g/n assures stable WiFi connectivity in within four-wall environments. It helped workers with agile data collection to backend system. Furthermore, its IP65 sealing protects the device from dust and dirt in daily frequent goods receiving process. Also, together with CipherLab’s Terminal Emulation, similar backend operating environment accompanied by user-friendly interface can be created. The supermarket can maximize the investment with simple device deployment instead of the overall system replacement. Minimal training on data entry is required due to the familiar operating screen. The overall deployment cost is then lowered accordingly. 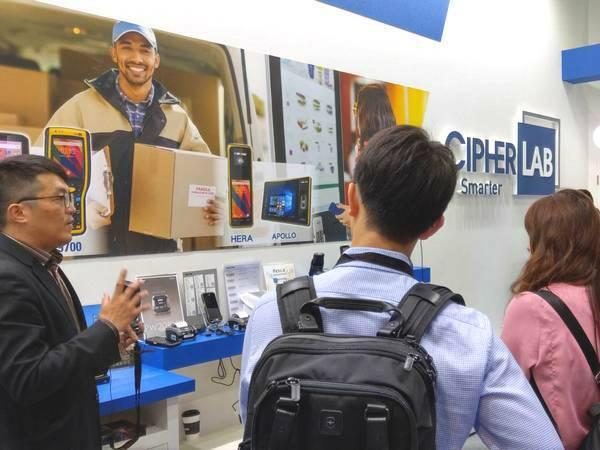 The close connection between our partner and end users brought insightful understanding about the demands which helps expand CipherLab product adoption in South America. We are happy that CipherLab 9700 has been used successfully throughout its stores with positive impact on workers’ efficiency and productivity. Built for users in the retailing, light warehousing and field mobility industries, CipherLab’s RK25 series rugged mobile computer creates a perfect mix for diverse user behaviors in both trendy touch computer and conventional physical keystroke operations. 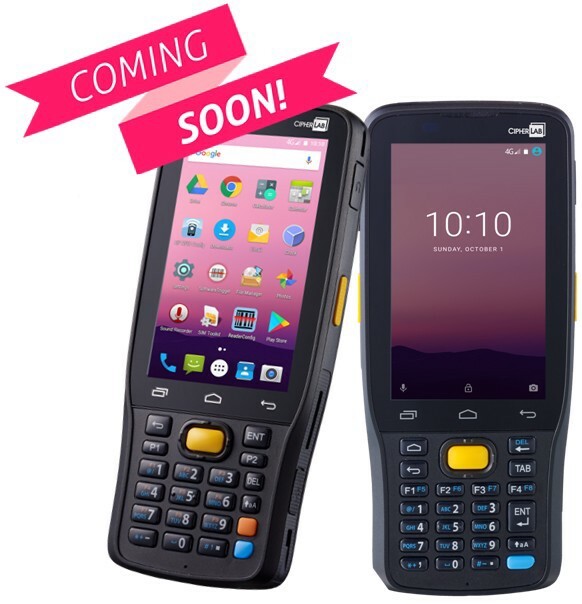 With a multi-touch 4” display and 2 numeric keypad options, the RK25 represents an excellent choice to simultaneously meet the demands of smartphone-like usability and keypad punching behaviors, allowing users to feel and press the buttons easily for faster data entry with higher accuracy. Along with a light weight and curved grip design, it reduces extended usage fatigue while delivering comfortable one-hand operations. Your staff will be able to extend their productivity to the fullest with RK25’s friendly operation design. To allow user to conduct and simplify complicated jobs, the RK25 is also equipped with up-to-date capabilities in data processing and transmission through the latest quad-core 1.4 GHz CPU, 4G/ LTE, and 802.11 a/b/g/n/ac dual band. Moreover, its Android 7.0 with GMS certification, data capturing in 1D/2D barcodes, and NFC support further meet enterprise security standards and requirements to adopt as a business tool. All of RK25’s functions are fully protected with CipherLab’s rugged designs of IP65, 1.5 m drop resistance and 300 tumbles at 0.5 m. Moreover, its powerful features have the ability to operate through long hours with the 4000 mAh swappable battery. Your business can enjoy the RK25’s fast and accurate productivity throughout the day. 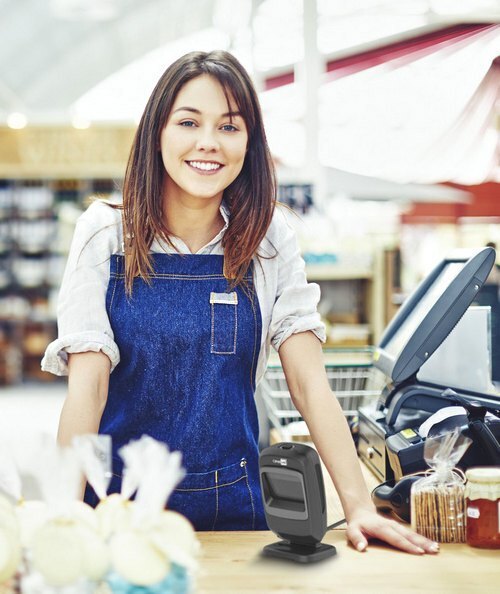 CipherLab is delighted to announce that the 2200 series presentation scanner is now supported with OPOS Standards, including the driver to enable barcode data communication between scanner and POS checkout devices via USB connection as well as the validation tool to check the device specifications of UPOS committee. Together with this new update, the 2200 series helps users to start the checkout process easily without any prior device installation. In addition, its flexible installation and adaptive trigger eliminates the need for users to wrestle with scanning difficult packages in hard to reach angles. Combined with UHF RFID and EAS capabilities, the 2200 Series is designed to create swift work productivity, which fits the needs of small stores, cafes or other hospitality services. Aside from performing like a commercial device, our mobile computer is equipped with more enterprise-grade features, which bring lots of assistance to workers on their daily tasks. Therefore, management of the device application usage is critical to administrators. 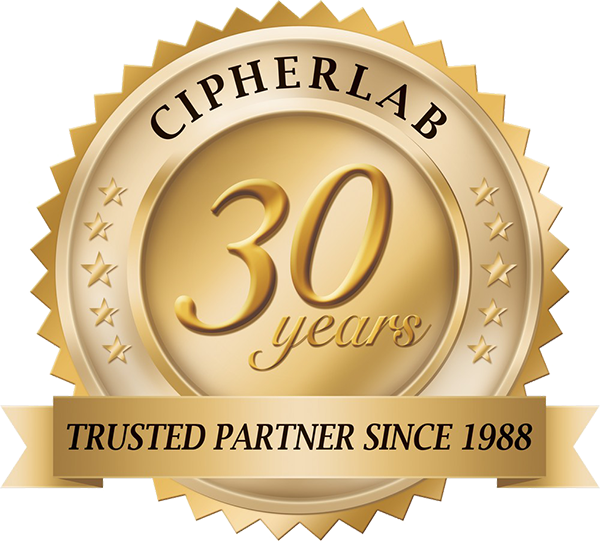 CipherLab’s utility – AppLock was designed to help ease potential problems. “Auto Start Apps”, “Screen Pinning” and “Hide on Desktop” are what we mentioned in the previous issue, we are going to introduce a few more functions that will bring assistance to you. “Clear Recent Apps” and “Recent Apps Whitelist” are two contrary setting concepts. “Clear Recent Apps” could be used to clear any Apps that are being accessed recently. On the contrary, administrators could set specific applications with boxes ticked in “Recent Apps Whitelist”, these Apps will be kept and not cleared when you clear recent Apps. This function allows administrators to keep specific Apps that are required to be used by workers frequently and not cleared to quicken their execution process. Moreover, the function “Assist App” is like the iPhone Siri. It can be activated with a long press on the Home button. All the applications listed in the “Assist App” page of AppLock correspond to Android system settings. Remember to remove any Apps that you do not want workers to use as a medium to access or link to non-work related applications. 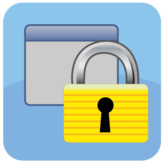 In conclusion, use AppLock to your advantage; it will bring great help to your device management. Start to explore all these functions and you will find that AppLock is more powerful than you think. A special Partners Day was held by Koncept-L in the Bishop's Castle, Poland on June 17-19. We enjoyed the educational presentations and demonstration and met AIDC vendors to share ideas and discover new products. Additionally, we relaxed and enjoyed the beautiful scenery in Janow Podlaski. Thank you, Koncept-L for holding such a great event! 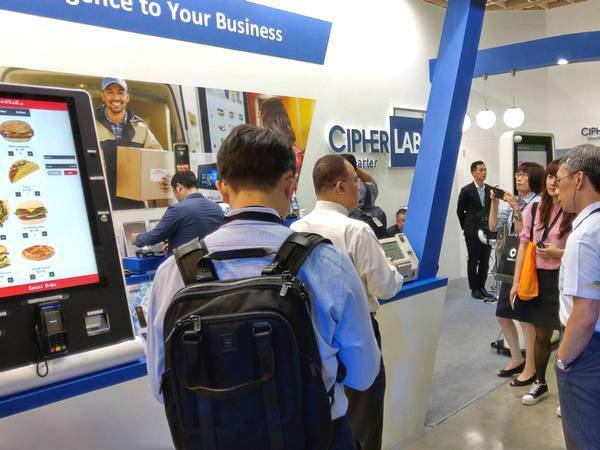 CipherLab successfully held an exhibition at Computex Taipei in early June. 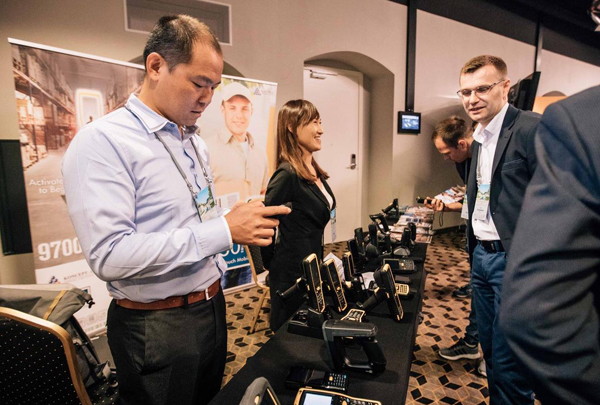 CipherLab showcased a complete series of AIDC solutions in Android mobile devices with live demonstrations for various applications in retailing, warehousing, T&L and Manufacturing. For the first time, CipherLab participated in the Assembly & Automation Technology Exhibition held in Bangkok, Thailand. CipherLab 9700 , RS50 and RK25 series had been warmly welcomed in warehousing, T&L and manufacturing applications. CipherLab was also very honoured to see the event organizer adopt CipherLab’s 8000 handheld terminal at the entrance and CipherLab’s 1504P to facilitate the self-badge printing.